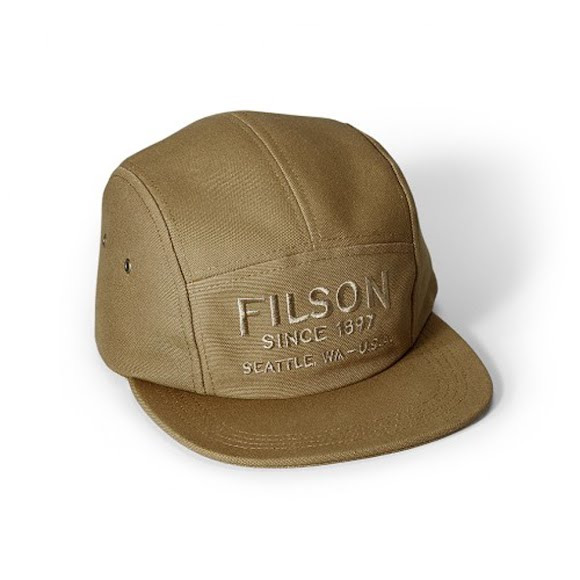 This classic five-panel cap from Filson provides portable shade and breathable comfort, with an embroidered Filson design on the front. It's made of 100% cotton canvas and has a Bridle Leather adjustable strap for a custom fit. Antique brass eyelets provide breathability so it remains comfortable even if you're sweating. This classic five-panel cap from Filson provides portable shade and breathable comfort, with an embroidered Filson design on the front. It&apos;s made of 100% cotton canvas and has a Bridle Leather adjustable strap for a custom fit. Antique brass eyelets provide breathability so it remains comfortable even if you&apos;re sweating.